Qualifications 5+ years as a head coach or assistant head coach of a USA Swimming Club Current USA certification and coaching requirements; ASCA Level X or higher preferred Solid knowledge of stroke theory and training physiology Experience developing age group athletes Experience leading and mentoring assistant coaching staff Bachelor’s degree preferred Ideal candidate possesses: Clear, cooperative communication style Strong team-building and organizational skills Solid personal ethics, including honesty, respect and integrity Passion for the sport of swimming and helping kids learn the values of teamwork, sportsmanship, and setting and working to achieve their goals. Competitive salary to be negotiated All applications will be held in confidence. To apply: send Resume and cover letter of interest to Board@desmoinesswim.org , and call DMSF Head Coach Greg Temple at 515-556-9729. Head Swim Coach - Aquatics Manager Salaried Position with Health Insurance and Retirement Benefits Description of Work General Duty Statement Performs work under direction to implement and supervise a wide variety of aquatic programming activities within the City of Fort Dodge, including administration and lead coaching for Ames Cyclone Aquatics Club – Ft Dodge year-round swim club. Supervision Works under the general guidance and direction of the Marketing and Operations Supervisor and Parks, Recreation & Forestry Director with independence in decisions related to assignments. Works closely with the Competitive Swim Program in the community, including the Ames Cyclone Aquatics Club Head Coach. Supervision Exercised Supervises City’s seasonal staff, lifeguard operations, aquatic programming, activities and ACAC’s year-round coaching staff, all as assigned. Essential Functions & Competencies Demonstrates knowledge of the principles and practices of organized aquatics and general operations and maintenance of aquatic facilities. Plan, direct, and coordinate a variety of aquatic programming, lessons, and activities for all ages/abilities, as well as special events. Supervise aquatics program staff, review and evaluate work, methods and procedures; meet with staff to identify and resolve problems. Ability to coordinate training and practice groups through the year-round competitive swim club program; oversee all practices and related activities. Responsible for the quality of services and aquatic programming activities delivered including lifeguard operations and swimming instruction. Organize and conduct community and school CPR and SFA certification classes. Demonstrates a strong understanding of appropriate safety procedures and discipline to ensure safety of activity and program participants to minimize the risk to the employer and participant. Demonstrates the ability to recruit and train seasonal staff and volunteers in techniques and proper applications relevant to the activity season. Demonstrates the ability to promote and publicize activities. Demonstrates a full understanding and ability to implement established policies. Demonstrates the ability to maintain the proper paperwork and reports needed for all activities. Demonstrates proficiency in Microsoft Office (i.e. Word and Excel) and the ability to learn other appropriate software. Demonstrates the ability to maintain necessary certifications and physical skills to perform safety and rescue operations. Required Knowledge, Skills, and Abilities Knowledge of the principles and practices of organized aquatic activities and swim team performance management (i.e. TeamUnify). Ability to take direction and to exercise sound judgment in enforcing rules. Effective communication skills, both written and oral. Excellent interpersonal skills; listening, using tact, patience and courtesy with patrons and the general public. Ability to foster a spirit of teamwork and support when interacting with staff and others. Ability to improve participation in revenue generating programs. Essential Physical & Mental Abilities Clarity of speech and hearing which permits the employee to communicate well with staff and the general public. Vision at the level of 20/40 or better (preferably 20/20) with or without corrective eyewear. Audio acuity (may be corrected) sufficient to hear calls for emergency assistance from a distance of no less than 100 yards. Able to lift up to 50 lbs., carry or assist in the movement of objects. Manual dexterity which allows the employee to operate a personal computer or other similar device used in the performance of the job. Personal mobility which permits the employee to effectively demonstrate, instruct, perform life saving functions and water rescues. This includes the ability to climb ladders and stairs. Ability to pass employment physicals including drug testing. Maintain mental capacity permitting the making of sound decisions and using good judgment. Effectively handle a work environment and conditions that involve exposure to dust, dirt, sewage, loud noises, fumes and odors. Regular, dependable attendance to work at the designated time and place; ability to work nights, weekends and some holidays. Requirements Must have at least two (2) years of aquatic management and programming experience, with a minimum of two (2) years coaching experience. Must possess a current lifeguard certificate. Must have USA swimming coach certification or ability to obtain within the first 3 months of employment, including satisfactory background check. Prefer a college degree in recreation or a related field. Competitive swim background is highly desirable. Must obtain CPO certification and lifeguard instructor certification within first year of employment, if not already held upon hire. Must possess a valid Iowa Driver’s License and meet the requirements of the City’s motor vehicle policy. Must pass criminal background check, pre-employment physical and drug screen. Must be able to effectively communicate (orally in person and over the telephone and in writing using electronic devices and handwritten) in English with others. Bilingual a plus, but not required. The Northeastern Swim Team (NST) is looking to hire a Full-Time Head Coach/Program Director . The coach would lead, design, and foster systematic growth for our swim team in line with the NST Mission Statement and USA Swimming goals and guidelines. NST, founded in 2014, is an established swim club in the beautiful community of Decorah, Iowa. With constant growth over the last four years, NST has an average of 90 swimmers per season. Swimmers have achieved over 700 state qualifying times as well as AAA and AAAA time standards. NST has had numerous state champions, 14 swimmers qualify for Midwest All Stars, and 12 swimmers qualify for Central Regional Zones. NST has won ten team spirit/sportsmanship awards, including three at state championship meets. Our swimmers, families, board members, volunteers, and communities are committed to the success of this team. We are looking for someone who is an experienced swim coach and who is people-centered and future-focused to help grow and guide this team. Job Responsibilities Serve as primary on-­deck coach at practices and meets. Provide a vision for the overall development of training groups and team performance. Support swimmers’ goals as they relate to the spirit and structure of USA Swimming’s American Development Model and individual needs. Increase the number of athletes who swim into their high school and collegiate years. Increase the number of athletes who qualify for championship opportunities. Supervise and develop assistant coaching staff including coordinate stroke and training principles throughout all levels oversee group placement and advancement of athletes. Oversee administrative aspects of team activities including meet selection, planning and registration coordination of home/hosted meets practice scheduling for all training groups maintaining team statistics team promotion locally and within Iowa LSC. Work cooperatively with the Board of Directors as an ex-­oﬃcio member to develop and administer the team budget create and execute a shared vision for NST’s growth and success communicate professionally and regularly with coaches, athletes, and parents work with the community to build support and program numbers. Develop and maintain positive relationships with NST parents, including parent education/activities with volunteer parents. Be willing to assist in all areas whenever appropriate. 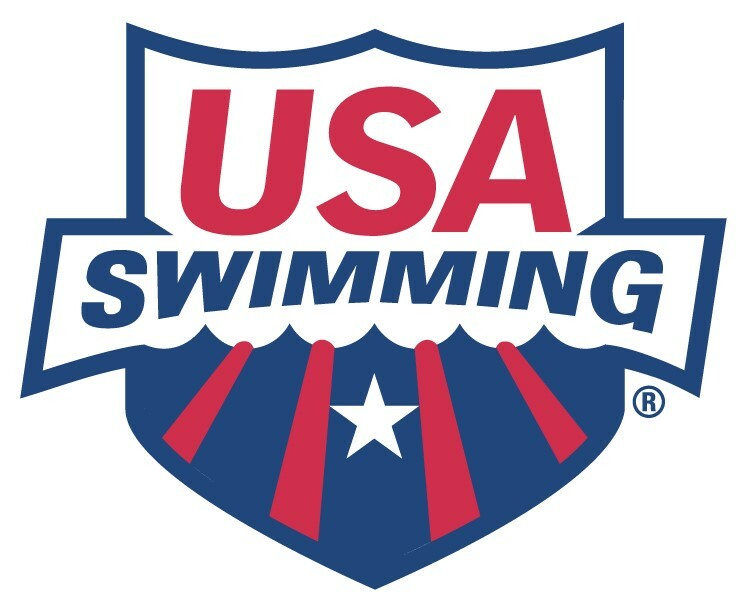 Qualiﬁcations Minimum 3 years (preferred 5+ years) experience as Head Coach or Assistant Coach of a USA Swimming affiliated club. ASCA Level 3 certiﬁcation or above strongly preferred. Experience leading and mentoring assistant coaching staff. All certiﬁcations current and in good standing with USA Swimming or required prior to starting. Solid knowledge of stroke theory and training physiology. Proven success coaching, motivating, and inspiring swimmers at all levels, from developmental through higher competitive levels. Bachelor’s degree preferred. Ideal Candidate Possesses Clear, cooperative, and tactful communication style. Solid personal ethics, including honesty, respect, and integrity. Kind and fun attitude toward swimmers of all skill levels. Strong organizational skills and attention to detail. A passion for competitive swimming, along with a personal desire to succeed professionally and advance the team as a whole. Competitive swimming experience. Experience with and knowledge of HyTek programs and Team Unify. Experience maintaining and managing a social media presence. Requirements, Certifications, and Skills Must pass a background check from USA Swimming and have completed the USA Swimming head coaching requirements (required). Current CPR/Safety Training certification. Working knowledge of Team Unify and Hy-Tek systems as well as proficiency in Microsoft Office software (preferred). Salary Range- Starting salary $35,000 plus a $2,000 personal wellness stipend. How to Apply Send resume with at least three references and a cover letter of interest to: nstcoachsearch@gmail.com . All applications will be held in conﬁdence. Review of applications will begin on January 15, 2019, and continue until the position is filled.